Hello, my gardening friends. We are eight months into our year-long series on gardening by hardiness zone and August is a good month to reflect. In fact, August is a good month to take some pictures of what did and, sadly, didn’t work this year. That will offer a reminder of what you want to do next season. As you look forward to your first or second harvest take a moment to thank the deity of your choice for the bounty. This didn’t all happen by chance, you know. Let’s see what chores await us during this, summer’s last hot breath. Zone Three (Hayward, Wisconsin) Yessir, the good folks along the banks of the Namekegon River enjoy August. They call this part of Wisconsin the Hayward Lakes Area and there are lakes aplenty. Gardeners in Hayward should plant that last set of spinach this month before winter sets in for good. Spinach is more rugged than it looks even in cold weather (and Hayward knows cold weather.) Light shade is best for spinach, so shoot for about three sun-hours a day. Start moving those houseplants indoors this month. That way, they get accustomed to limited sun exposure. Do this while your windows are still open to the breeze. That will ease the transition. Outdoor plants you intend to overwinter can come in, as well. Zone Four (Laramie, Wyoming) The folks who live in Laramie are preparing to welcome the Cowboys back to the University of Wyoming. These fans are still talking about Josh Allen and his chances to start at quarterback Opening Day for the Buffalo Bills. Gardeners in Laramie are busy in August because this is the month to plant mâche. For those not familiar, it’s a sturdy lettuce that was first cultivated in France during the latter part of the 17th Century. Very tasty as a salad base. Laramie’s gardeners ARE NOT looking forward to dealing with the snails and slugs who enjoy some salad of their own. Drop some hollowed-out citrus peels near where your mâche is located. Zone Five (Gary, Indiana) This city, just 25 miles from Chicago, is slowly making a big comeback. Gardeners in Gary are looking forward to cooler days and the chance to spend some quality time in the garden. What will they do out there? Glad you asked. They’ll be planting beets! Though native to the warm Mediterranean, beets are renowned as a cold weather favorite. After all, you can’t make a borscht without a bunch of beets…or so we’re told. Be careful, though. A fungus is a major enemy of beets, so make sure your soil is well-drained. Zone Six (Portsmouth, New Hampshire) Trivia question: Which is the only New England state without a coastline? The answer is Vermont, and that answer is made possible because of Portsmouth. New Hampshire’s only coast city is a proud one indeed, and the gardeners here are just as proud of their output. What is the source of their pride this month? Broccoli is August’s king in this zone. Ranch dip’s favorite floret likes lots of sun and lots of water. Mother Nature provides the first and you provide the second. Be careful of aphids. They like your broccoli, too. Zone Seven (Coeur d’ Alene, Idaho) Didn’t even have to spellcheck it. That’s how much Gildshire loves this beautiful city on the Idaho panhandle. Green and luscious is the picture you get of Coeur d’ Alene when you come in from the west. Green and luscious are the gardens here, as well. August is still pretty warm in these parts, but not so warm that you can’t plant a quick-growing crop of carrots for winter stews. Be sure those carrots get one or more inches of water each week. If the rains don’t cooperate then it is on you and your handy water bucket. Zone Eight (Kitty Hawk, North Carolina) The license plates for North Carolina say “First in Flight’ and it is all because of this town that boasts just 3,473 residents. Did you know that the Wright brothers were actually from Dayton, Ohio? They came to the sandy ground at Kitty Hawk because of the steady prevailing winds. It is those very winds that keep the shoulders of Kitty Hawk gardeners cool while they toil outside. What are they accomplishing? Yellow summer squash is planted during the brief window of opportunity we know as August. Yellow summer squash produces bountifully compared to other varieties of summer squash. Here is where it can get tricky, though. Place the plants where there is full sun. However, you should wait for a cloudy day to transplant seedlings. Immediate harsh sun can cause them to wilt. Zone Nine (Petaluma, California) We wanted to include a city from this region to offer our concerns and genuine condolences for the fires these folks are enduring. We hope you can get back to your garden as soon as possible. August is a great time for Petaluma’s gardeners to get the rose garden in shape for fall planting. Be sure to remove any tired foliage. Cherry tomatoes do great in Petaluma’s still-warm temperatures of late summer and early fall. Zone Ten (El Segundo, California) Our hats are off to the good folks in El Segundo, who are active in tree-planting along the Imperial Highway. The main part of this operation is being done by a group called Tree Musketeers. Good job! El Segundo gardeners are harvesting this month, but one plantable crop is available if the gardeners so desire. Garlic is the crop to plant! Cloves should be located about 5″ deep, and in full sun. The soil should be kept moist, so plan to water every few days. What’s nice about garlic plants? It is a natural pest repellant, so it can pretty much take care of itself. That’s it for August. We hope you learned something about your own garden and something about these great cities we highlighted. 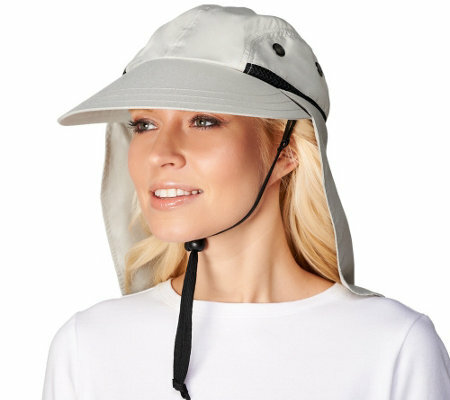 Put on some sunscreen and don’t forget your gardening hat, just like the one pictured up top. It’s still awfully warm out there.